Ungjilli sipas Mateut i realizuar nga versioni �New International�. Me aktor�t Richard Kiley dhe Bruce Marchiano. Shqip�rimi i tekstit �sht� b�r� me lejen e Shoq�ris� Biblike Shqiptare. botuar ne shqip nga SDA?
? 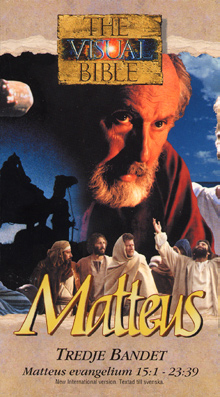 The dramatized Gospel of Matthew from the New International Version. Starring Richard Kiley and Bruce Marchiano. Albanian text used with permission of the Albanian Bible Society. published in Albanian by SDA? Kontakt Botuesi: ValKroeker? Publisher Contact: ValKroeker?